The Florida Chapter of the CCIM Institute welcomed its 2017 leadership during the organization’s recent statewide Annual Chapter Meetings. Scott Lloyd CCIM, RPA, Principal at Lloyd Commercial Advisors, LLC, will direct the highly-regarded commercial real estate association as the 2017 Florida CCIM Chapter President. Lloyd plans to elevate the CCIM brand at the local level throughout the State during his tenure by increasing the number and quality of exciting, relevant industry events. He also wants to make sure that the 900+ Florida CCIM Chapter members continue to have instant access to the cutting edge technology that has historically provided CCIMs with a clear competitive advantage. In addition, Lloyd aims to leverage the knowledge and expertise of CCIM’s worldwide and world-class thought-leaders to the benefit of all Florida members. The Florida CCIM Chapter is comprised of 8 districts – North, Panhandle, Central, West Coast, East Coast, Southwest, Broward, and Miami-Dade/Monroe – serving the entire state of Florida. Lloyd has been advising small and medium sized companies with direct regard to their commercial real estate decisions and needs since 2002. Throughout his 24-year real estate career, Scott has managed millions of square feet, representing all classes of commercial real estate, and completed well over thirteen-hundred lease and sale transactions, both as a principal and on behalf of tenants, property owners, corporations and investors in the acquisition or disposition of land, office, industrial, aviation-related and retail properties. Scott Lloyd is a Certified Commercial Investment Member (CCIM), a Real Property Administrator (RPA) and obtained a BBA in Real Estate and Finance from the University of North Texas. 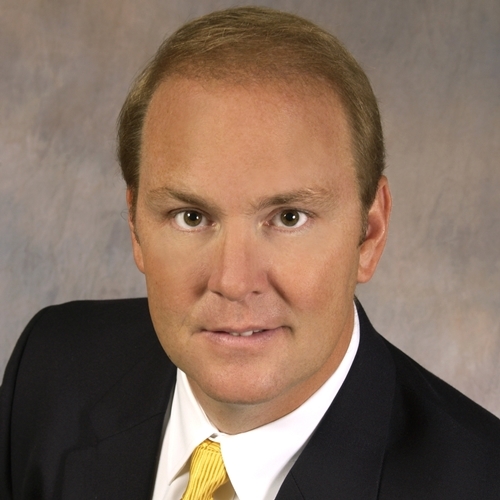 He is or has been active in numerous community-based and professional organizations including NAIOP, ULI, ICSC, BOMA, CFCAR, the American Association of Airport Executives (AAAE) and the Metro Orlando Economic Development Commission. Scott is also a licensed Florida Real Estate Broker.